If we look beyond audiophile-grade equipment, technological advancements are the next big thing that decide the price of headphones. Wireless connectivity, smart features, and active noise cancellation tend to bump up the price of any pair of headphones. 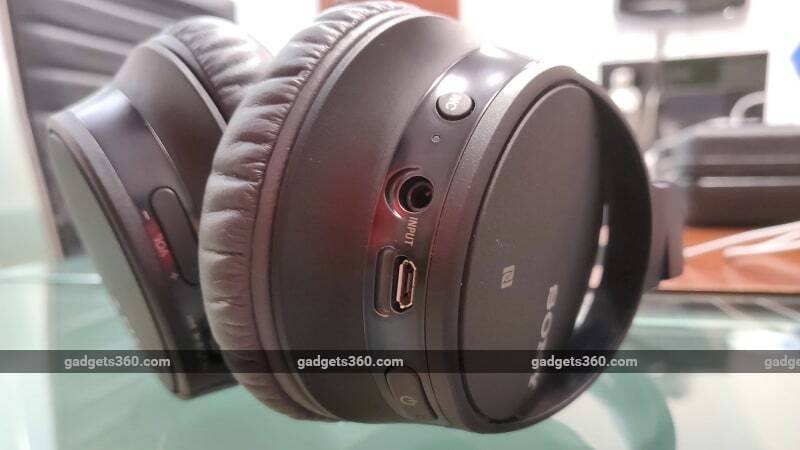 The ideal example of this is the Sony WH-1000XM3, which is priced at Rs 29,990 and is widely considered one of the most technologically advanced pairs of headphones you can buy today. However, Sony is now making it possible for us to look beyond the WH-1000XM3, for those who don't necessarily want to spend that kind of money. At Rs. 12,990 — less than half the price of the premium model — the Japanese electronics manufacturer has launched the new Sony WH-CH700N. This new headset comes with the same features — wireless connectivity, active noise cancellation, and the ability to use Google Assistant on the go. Does the lower price mean a significantly lower overall level of performance? We find out in our review. While many other brands go with creative naming schemes, Sony's alphanumeric model numbers can be a bit bothersome to remember and say out loud. Fortunately, the actual product isn't as boring or difficult to deal with as its name. The Sony WH-CH700N has a proper over-the-ear design, meaning that the headphones entirely cover your ears for a snug, noise-isolating fit. The headphones are driven by 40mm dynamic drivers that are contained in plastic housings. An interesting design element here is the glitter-like finish on the outside of the main housings, which adds some character to the headphones. The ear cups have a hinged design that offers a bit of flexibility in the fit, allowing the headphones to sit comfortably around your ears. The adjustable headband lets you further tweak the fit. There is soft padding around the ears, as well as on the inside of the headband. Controls for power and noise cancellation, along with the Micro-USB port for charging and 3.5mm socket for wired connectivity, are the bottom of the left ear cup, while the volume and playback controls are on the right earcup. The controls work well and are easy to use. While the design is functional and the Sony WH-CH700N is solidly built for the most part, but it looks rather plain as compared to the Marshall Mid Bluetooth, for example. The Sony WH-CH700N has a frequency response range of 7-20,000Hz, active noise-cancellation, and NFC for quick pairing with compatible devices. You can also configure some settings on the headphones using the Sony Headphones Connect app for iOS and Android. When the WH-CH700N was paired with a compatible smartphone with the app installed, we could tweak equaliser settings, control noise cancellation, and change the function of the noise cancellation button to trigger Google Assistant (or Siri on the iPhone), among other tweaks. It's a useful app, and it helped us customise the functionality and sound on the headphones. The sales package includes a Micro-USB cable to charge the Sony WH-CH700N with, and a 3.5mm cable to allow wired connectivity. Usefully, the Sony WH-CH700N supports the aptX and aptX HD Bluetooth codecs as well. However, you will have to ensure that the app is set to prioritise sound quality over connection stability to make your phone default to the aptX or aptX HD codec. In terms of comfort, there's nothing to complain about; we used the headphones for long listening sessions without any significant discomfort. Although the battery capacity isn't specified, Sony claims impressive battery life of up to 35 hours on a full charge with Bluetooth and active noise cancellation running. Most headphones, including the more expensive Sony WH-1000XM3, don't promise as much. During our testing, we were able to come close to this figure, suggesting that the Sony WH-CH700N is indeed a class-leader when it comes to battery life. However, charging the Sony WH-CH700N is a big let-down, because of the lack of fast charging. The headphones are listed to support quick charging for 60 minutes of use with 10 minutes of charging, but a full charge is a different story. The headphones took over six hours to fully charge using the bundled cable, which is disappointing to say the least. Although the long battery life means that you'll have to charge the headset less often, the long charging time did make the process inconvenient. 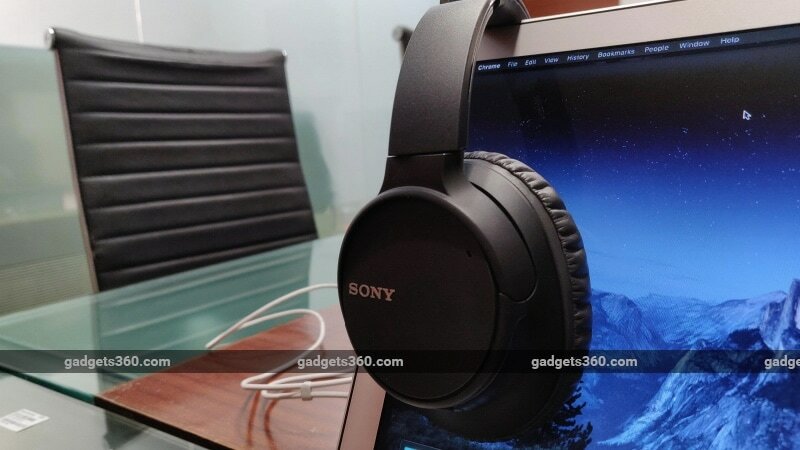 For this review, we used the Sony WH-CH700N with a OnePlus 6T (Review) and a MacBook Air as source devices, testing sound output wirelessly over Bluetooth as well as with the included audio cable. On both devices, we used Apple Music to play audio, as well as PowerAmp on the OnePlus smartphone with our own high-resolution tracks. Additionally, we also tried the headphones with PUBG Mobile and Netflix, and we used it for hands-free mobile calls. Using the WH-CH700N with the OnePlus 6T, we enabled the Qualcomm AptX HD codec, which made a distinct difference to audio quality. Sound was noticeably clearer, especially with high-resolution audio files. With the MacBook Air, we were limited to the SBC codec for audio. We started with Sony WH-CH700N connected wirelessly to the OnePlus 6T, kicking things off with Major Lazer's Light It Up. It has a warm sonic signature that is tuned to suit most genres, and the fast-paced beats and bass elements in the dubstep-inspired reggae track felt exciting and driven. The low-end is powerful, but never at the expense of the mid-range or high-end. As a result, the sound is clean and brings out much of the detail and character in the track. Moving on to Gust Of Wind by Pharrell Williams (a high-resolution FLAC-format track), the technical sophistication of these headphones is evident. The soundstage and imaging are helped along by the aptX HD codec and the large 40mm drivers. We could hear faint details that even had a sense of direction to them, which was particularly audible in the auto-tuned vocals by Daft Punk. This track also demonstrated the headset's excellent mid range reproduction, and despite the standard V-shaped signature, the mids weren't lost in the sound at all. Switching to Bluetooth with the MacBook Air resulted in a slight drop in audio quality, largely because of the more widely supported SBC codec. That said, sound was still decent, and we could still hear most of the detail, imaging, soundstage, and general quality across the frequency range. However, the excitement tended to taper off a bit, and we could feel something missing in the overall sound in comparison to our earlier experience. This gave us a better indication of how the WH-CH700N would sound when used with most devices. However, the sound is still excellent for the price, and on par with most other products in this price range, if not better. Using the headphone cable allows you to keep listening even when you run out of power, but the sound was considerably weaker in our experience. Fortunately, if you do have power, you can use the internal amplification and noise cancellation, and enhance the sound a bit when using a wired connection. This adds some flexibility to how you can use the Sony WH-CH700N with different source devices, but these headphones are really meant to be used wirelessly. We also used the WH-CH700N for non-music listening, including TV shows, mobile gaming, and hands-free calls. The Sony WH-CH700N did a good job in all of these use cases, thanks to the quality of its sonic tuning. The headset is therefore an excellent all-round option for all kinds of wireless listening. Finally, we come to active noise cancellation, which is listed as being enhanced by artificial intelligence. In practice, the Sony WH-CH700N doesn't perform quite as well as the more expensive WH-1000XM3, or even the competing Sennheiser HD 4.50 BTNC in this regard, but the feature isn't all that bad either, though the AI bit largely seems like a buzzword. The headset managed to reduce some noise around us, but the ‘silence' effect wasn't very strong. It makes a very small difference when also listening to audio, and can only really be felt when you have nothing playing and are using the WH-CH700N as electronic ear-muffs. It would offer some relief from the hum of an airplane, but in our experience, noise cancellation wasn't as good as on more expensive products such as the Sony WH-1000XM3 or Bose QuietComfort 35ii, which is hardly a surprise. Sony's offers a wide range of over-the-ear headphones, with plenty of options in every price segment. The higher you go, the more capable they get. The Sony WH-CH700N is the most affordable of the company's over-the-ear noise cancelling models. However, the ‘affordability' doesn't mean the WH-CH700N is a limited product. Apart from being technologically up-to-date in terms of codec and format support, the headset offers an acceptable level of noise cancellation, easy-to-use controls, and very good sound for the price. Furthermore, its battery life is excellent, although the slow charging may be a downer for anyone with heavy usage. The only real flaw is its somewhat boring look and feel, but this is entirely forgivable given the sound quality and price. It's worth pointing out that you need good source equipment to get the most out of the Sony WH-CH700N — an AptX HD-compatible smartphone or media player is highly recommended. If you have the right smartphone and a budget of up to Rs. 15,000, the Sony WH-CH700N is definitely worth it. product Sony WH-CH700N offers the same features at half the price of the more high-end WH-1000XM3 headphones. But how well does it perform? 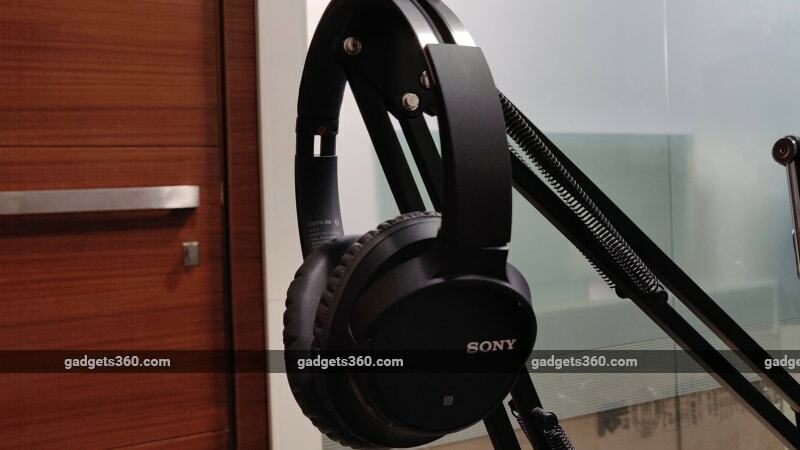 Read our Sony WH-CH700N review to find out.